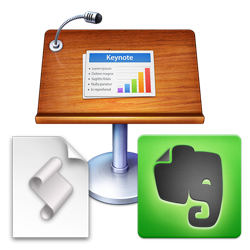 A while back, I wrote an article for TUAW that demonstrated how to send presenter notes from a Keynote presentation to Evernote. This week, Apple released Keynote 6.2, and it contains some updated terminology. Here's an updated version of the script, which works with Keynote 6.2. NOTE: You can download an example presentation containing presenter notes here. 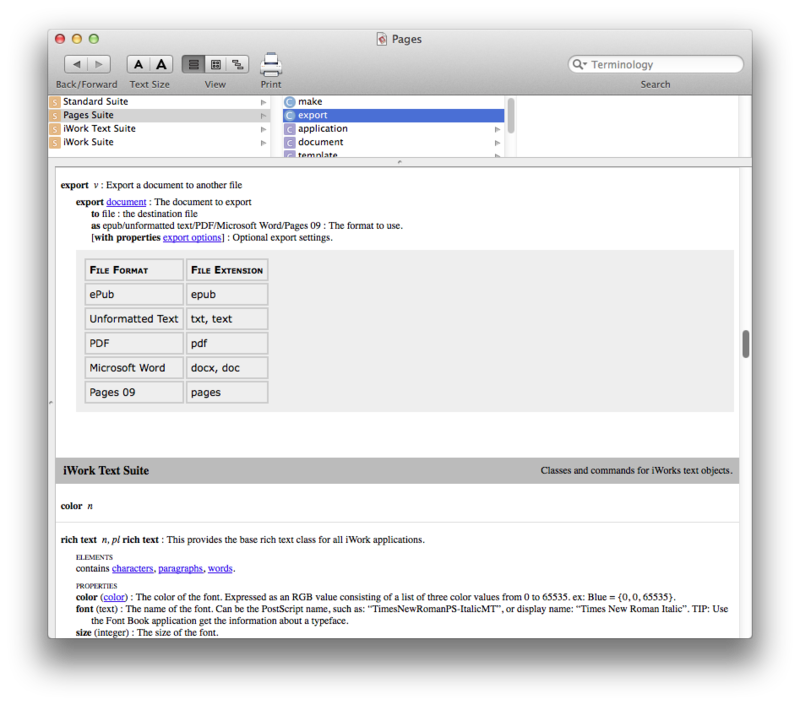 You can download the completed AppleScript here. Late last year, Apple generated a wave of negative press after releasing slimmed down Mac versions of the iWork apps—Keynote, Numbers, and Pages. Rewritten from the ground up to focus on ease of use, consistency, and iCloud support, the apps lacked lots of the useful productivity features that Mac users had come to use. One major setback was a significant reduction in AppleScript support, a problem for anyone attempting to automate an iWork-based office workflow. Apple's latest iWork update provides significant AppleScript improvements across the board. More thoughts to come on this soon. 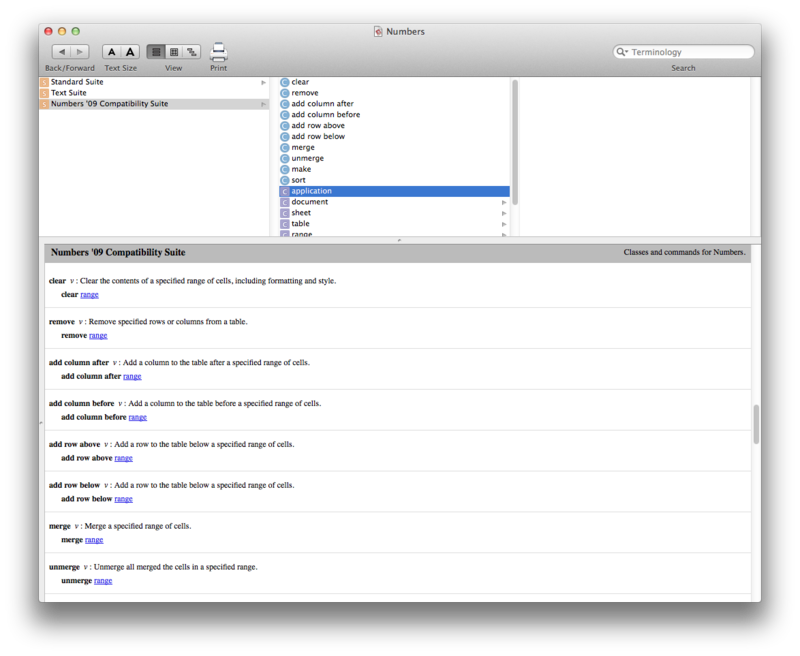 In the meantime, for lots of scripting goodness, visit iworkautomation.com. Back in November, I wrote about the growing concern in the Mac community that Apple might be abandoning AppleScript. The occasion was the virtual removal of AppleScript support from the iWork apps (Keynote, Numbers, and Pages). At the time, I stressed that Mac users should remain calm, that this was nothing new, that the level of AppleScript support in any given app had always ebbed and flowed from release to release. Looks like we’ve just had another ebb and flow. 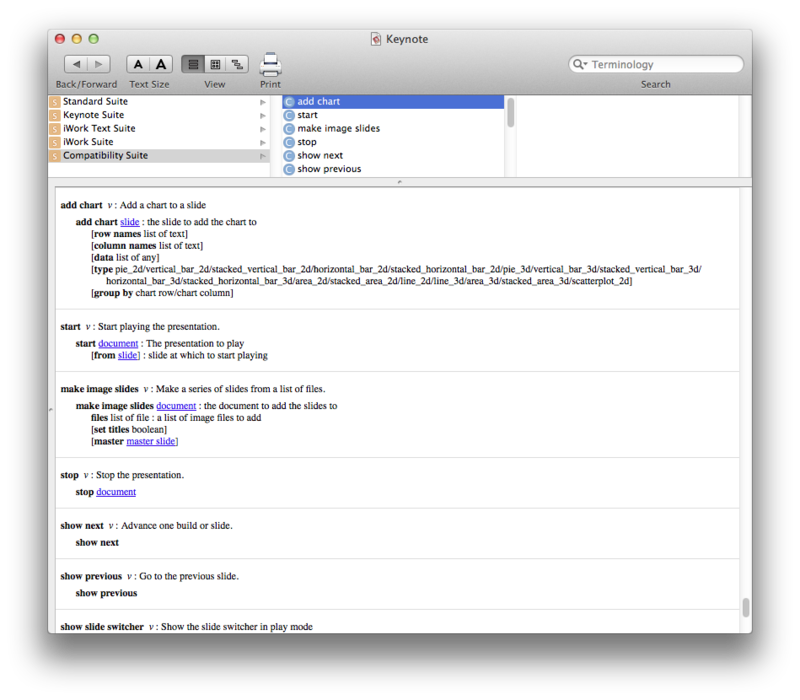 AppleScript and iWork… it’s baack. 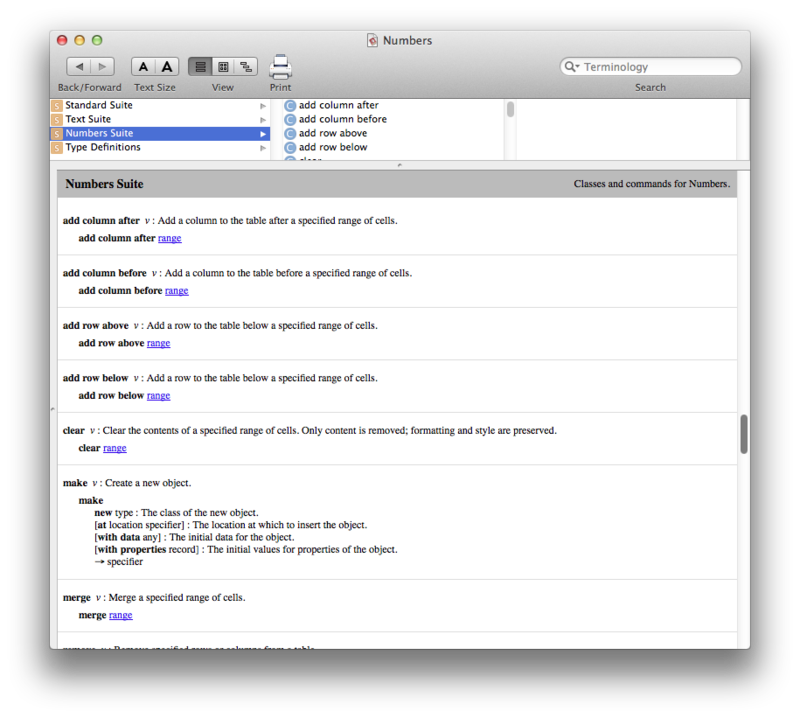 Numbers 3.1 supports AppleScript again. More thoughts to come on this soon. It’s that time again. A new version of OS X is out, and with it come the recurring cries of AppleScript’s demise. But let’s try to remain calm: Recent Internet rumors that the sky is falling may be slightly exaggerated. Nobody knows for sure what the future holds, but personally, I don’t think AppleScript is going anywhere just yet.